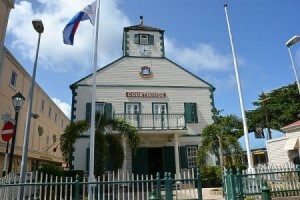 PHILIPSBURG, WILLEMSTAD - The Court of First Instance on Sint Maarten, at the request of the Public Prosecutor's Office (OM) of Sint Maarten, agreed with the exceeding time limits for suspects currently detained pending further investigation and/or there day in Court. This in the case of all suspects that, due to the passage of Hurricane Irma, the time limits were not requested on time. The Public Prosecutor has submitted on Wednesday, September 13, a request in Philipsburg to the Court regarding Article 413 of the Code of Criminal Procedure. The request was specifically in cases where the deadlines have expired. The judge has agreed with the request. All overruns of the deadlines are now all covered and no suspects will be set free due to this new situation.